A crane has fallen onto Royal Caribbean’s Oasis of the Seas this afternoon on her first day of drydock in the Bahamas. Update: 8 confirmed injuries. None life-threatening. The cruise ship dry-docked in Freeport this morning and footage showed the dock emptying earlier. The ship is in for general repairs for one of its azipods. Oasis of the Seas is currently in the top 5 biggest cruise ships in the world – only dwarfed by her three younger sisters in the same class. The ship can carry around 6,000 passengers, but none were onboard at the time. Bahamas Press tweeted two videos showing the crane leaning against the side of the ship. There are no confirmation of any injuries currently. 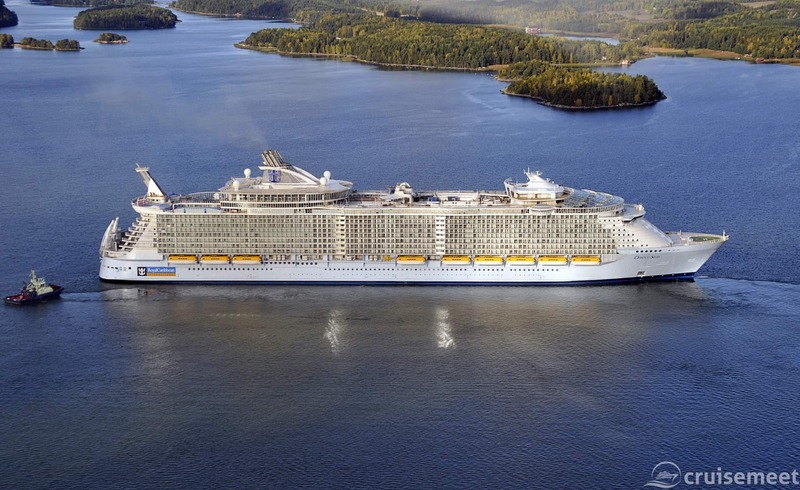 Royal Caribbean has not confirmed yet whether the next sailing (April 7th) will be postponed. An announcement will be made on Tuesday April 2nd.